The social enterprise journey in Ireland can seem to be a lonely one. You are not alone. There are supports available. 10.1 When do I need a Professional? It can be difficult getting started on your own or with a small group of people. Deciding when you need more help is a conversation worth having. Many accountants and solicitors and business development professionals will often give you advice for free. It might be worth contacting people in your own networks with skills before you start. Make sure that you are as knowledgeable as you can be and consider pricing how much it might be to hire a professional to manage your finances or setting up your structure correctly before you begin. Both Community Finance Ireland and Clann Credo provide social finance loans. You can find out more about them on their websites. 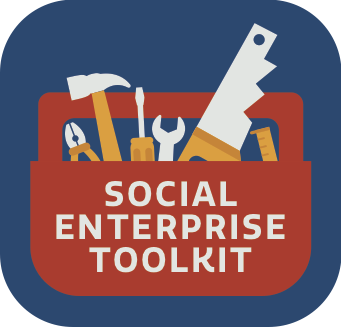 There are a number of initiatives that might allow you to develop a social enterprise while seeking employment and also might find you your first employees. Find out more on initiatives such as the Back to Work Enterprise Allowance, Short-Term Enterprise Allowance, Tús, Community Employment and Community Services Programmes.